In the 90's you could get away with building crappy websites. These days, it's more than just a competitive advantage to have a site that offers a great user experience -- it's essential for survival. Consumers have too many options to bother figuring out how your navigation works or filling out a half dozen forms during checkout. Good user experience means keeping your users on your site, buying your product, and recommending it to their friends. Making sure your users have a good experience on your site is the domain of a User Experience Designer. As a freelancing developer and certainly when building your own sites, that's just another hat you need to wear. Even if you end up at a big company building a specific feature, thinking first and foremost in terms of how the user's goals can be met quickly and with satisfaction will give you the right context to make good design decisions. Our goal here isn't to make you an instant expert at UX design -- we simply want you to avoid the pitfalls of tackling web development with an engineer's mindset of "build first (because it's cool!) and ask users later". We also want you to understand the basic principles and tools of UX so you can avoid making stupid site design mistakes that make your users think too much or get lost. This is a case where a bit of knowledge can go a long way. We also want you to really open your eyes as you use the web. Don't just be another mindless consumer of content and a braindead user -- start thinking critically about what each site is designed to do and how they are helping or hindering the fulfillment of your objectives. This power of observation may be the single most helpful thing towards making you a better designer, developer, or entrepreneur. Because UX by definition encompasses every facet of the user's experience with your site, it can feel a bit overwhelming. Don't worry -- we'll show you a framework for thinking it through. Before we get started, though, let's get on the same page about what exactly the goal of UX really is. A product with a good user experience allows the user to accomplish their goal(s) effectively, efficiently and with a high degree of satisfaction. 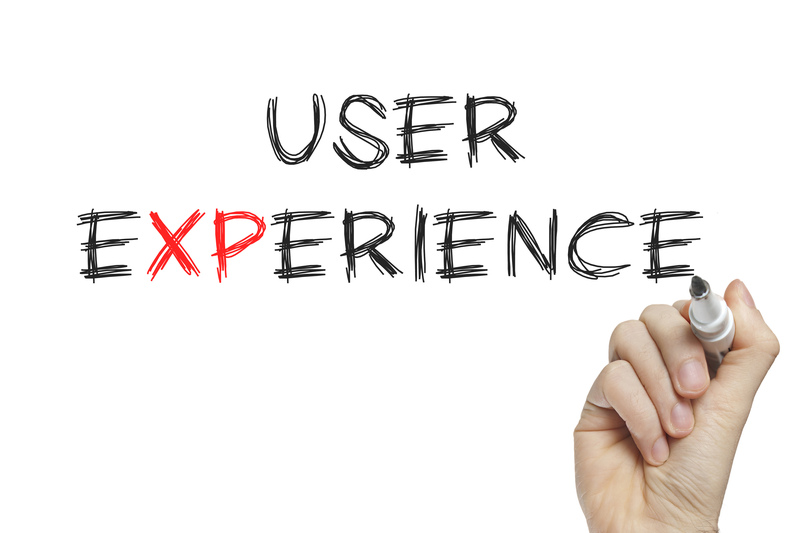 Everything in UX comes back to the user -- you need to understand him or her so you can make sure he or she has a good experience! That means you must first identify who are your users and what are their critical goals. Do they want to buy something? Do they need to consume information? Do they want to meet new people? You also need to identify what creates a good experience for the user. Building a site that's beautifully artistic and dripping with personality is a waste of effort if your customer chiefly values transaction speed. Discovering your users and their goals will be important for you if you're building your own site or business but the specifics of how to do so are outside the scope of this course (but see the Resources tab for more information). The real point here is that you need to understand what your user wants and what constitutes success and satisfaction for him or her. This is the "Discovery" phase of the Design Process that we'll cover shortly. Once you know your users' goals and expectations, you can focus on building a product that matches them. Your users come to your site to accomplish a single primary goal and, in order for that to happen, you need to show them the path of least resistance to do so. That means first identifying the critical goal and then figuring out what is the simplest path for accomplishing it. The critical goal is really the answer to the question, "Why did you come to my site in the first place?". If you're amazon.com, that's purchasing the right product fast. If you're the New York Times, that's reading the most important news with a single click. If you're Facebook, it's figuring out what your friends are up to. Those sites are optimized for their specific goals. You see very little resistance in the way they are laid out -- minimal input and few additional clicks are required along the way. You'll need to think along similar lines when designing your sites -- every facet of the site should be geared towards helping the user accomplish his or her critical goal. On a macro level, the key goal drives your site architecture. Can it all happen on one screen? Does the user need to browse content before making a decision? How many clicks are required? On a micro level, it will determine everything from your page layout to your choice of colors and fonts. Now that we know that the goal of UX is to help the user accomplish his or her goal, how do you actually build a site that does so "effectively, efficiently, and with satisfaction"? As a sentient human being in the 21st century, you've spent plenty of time on the web and have no doubt encountered numerous awful sites and maybe even a few good ones. What makes the good sites good? The bad ones bad? Sometimes there are a whole bunch of factors pointing either way but, typically, a bad site makes you think too much and it makes you go searching around to find what you're looking for. A good site will have what you need in front of you and a clear path to where you need to go. The point is that your users will take a path through your site and you want that path to be as smooth as possible. That means you need to reduce friction. Any time the user has to think. Any time the user has to click. Any time the user has to trust. Any time the user has to enter information, especially sensitive personal or financial information. All of these things need to be avoided unless absolutely necessary. Each time your users hit one of these frictions, a certain percentage of them will disappear... not good! There's a great book called Don't Make Me Think by Steve Krug which dives much deeper (and more eloquently) into this idea. Basically, think of your users' path through site as water rushing downhill towards the critical goal. With nothing in its path, the water has a pretty quick trip. If you put an obstacle in the middle, it sloshes around looking for a way past it. That's sort of like building a bad navigation system or an unexpected sign-up screen -- too big of an obstacle and your user takes the quarter of a second that's required to open a new tab and go buy from someone else. Read How to Design User Flow from ConversionXL.com for a more formal look at user flow. You don't need to worry about the details, but you should see how important it is to start by thinking about the user's objectives and building your flow around that. In the next lesson, we'll get into the specific tools at your disposal to make sure your users are flowing smoothly through your site and towards their goals. Cognition: The Ultimate User Experience from UXMag deals more with the "don't make me think" philosophy of user experience. Principles for Usable Design from Usabilitybok. UICloud - "The largest UI Design Database in the World"